Shell width is about 30mm. The Shell is light yellow-brown in colour, usually with extensive darker banding and blotching. Shell pattern, colour and size can be very variable. The umbilicus is completely sealed. The surface of the shell has a wrinkled texture. The flesh can be grey, grey-green, brown, or almost black. 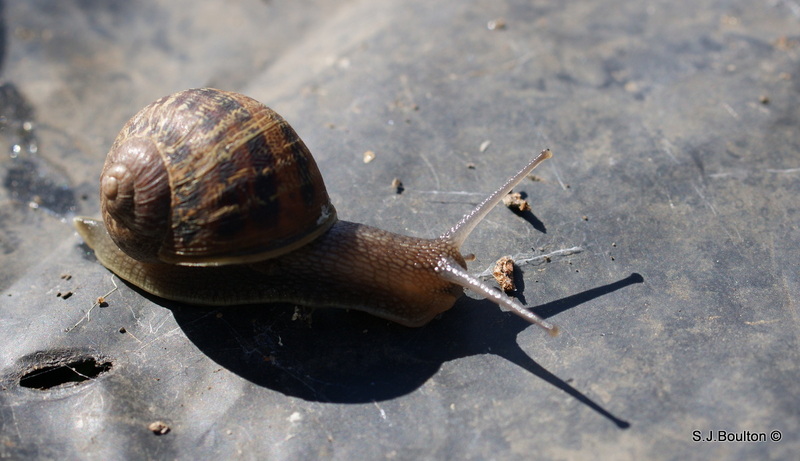 This snail is by far the most familiar to people – it is the archetypal garden snail. They eat a wide variety of fruit, vegetables and leaves. Lifespan is up to 5 years. When threatened, the snail creates many bubbles from its mantle to confuse predators. They can adapt to a wide range of conditions and are found in gardens, parks, fields, woodlands, dunes and vineyards. 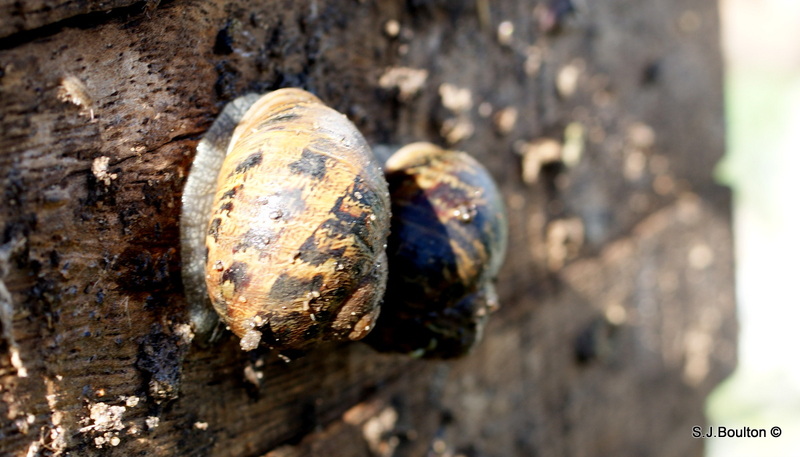 Helix aspersa are distributed across Europe and the Mediterranean and have been introduced to North America, South America, South Africa, Australia and New Zealand – they are the most widespread snail species.